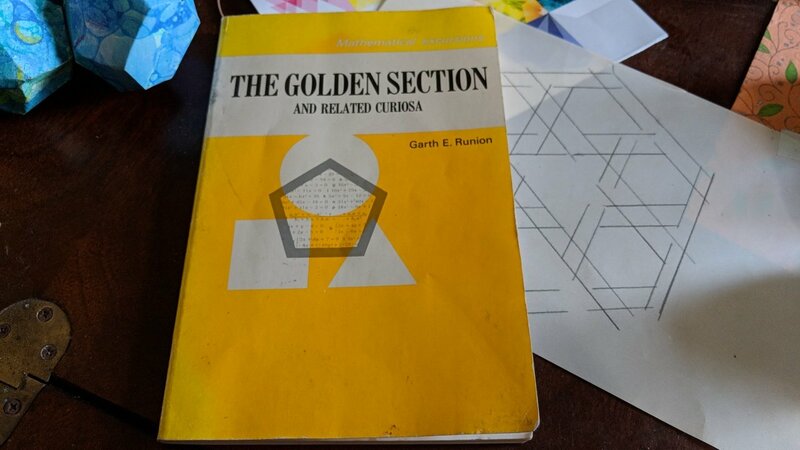 I’ve been reading this book, The Golden Section. Maybe this is a lie, as, after three days I’m still only on page two. My notebook is full of cross-outs. Each time I think I finally understand what’s going on I write bigger. The pages of my notebook looks like a map to insanity. Maybe a bit of insanity is what it takes, so I can finally disconnect from what’s already in my head. This is a scaling issue. 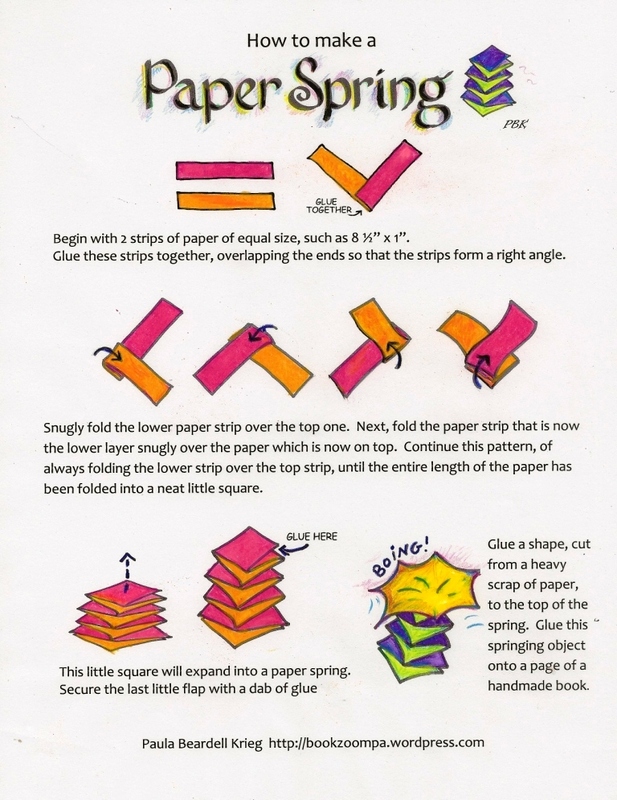 As someone who is interested in paper-folding and book making I am always scaling things. Thought I completely understood scaling. Scaling helps me do things I want to do nearly every day. But there is the wall (or ceiling?) I keep bumping up against. Am trying to work it out, from many fronts. Last few days, trying to understand the golden ratio, is one of the many ways that I am trying to deepen my understanding of scale. 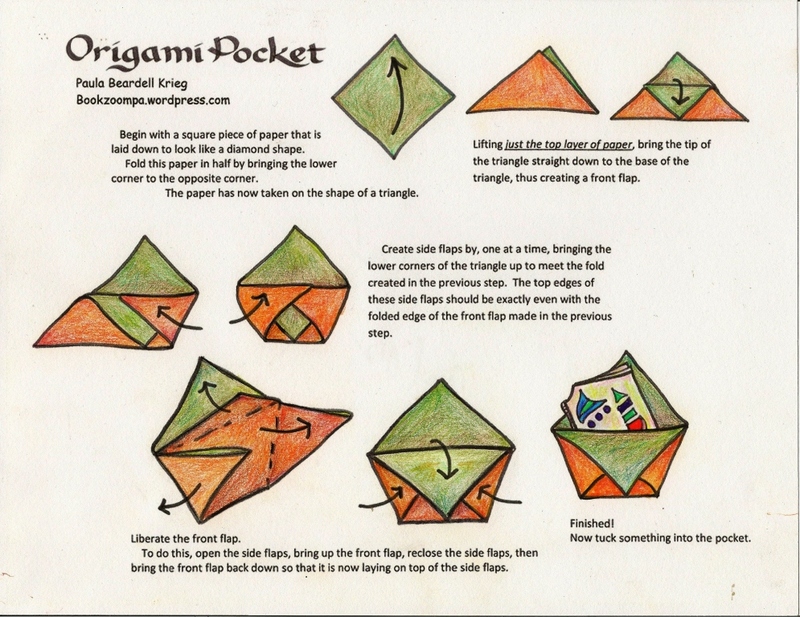 Also, there’s something about pentagons that I just don’t get. I don’t know what it is about pentagons that is eluding me, but I know golden ratio and regular pentagons are two peas in a pod (sorry, not a good metaphor. I think I’m hungry). We’ve all seen the golden ratio spiral, embedded in a rectangle which contains successively smaller squares created in the leftover part of the rectangle once the biggest square is made. 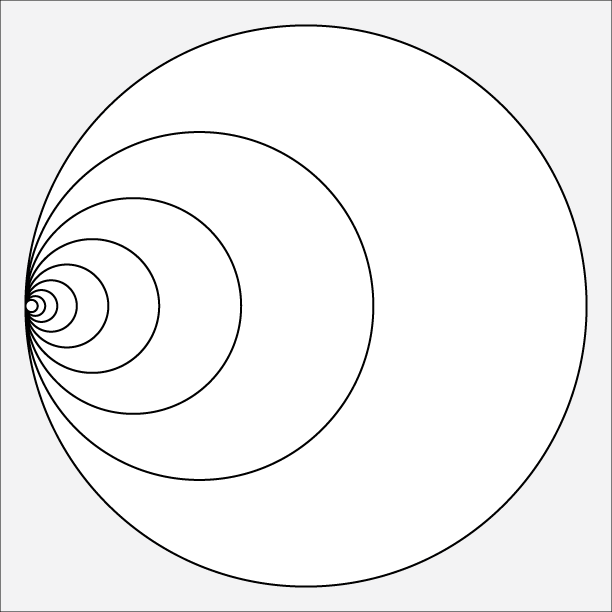 My mind doesn’t think in spirals, though, so I can’t extrapolate that image into something that I can get cozy with. 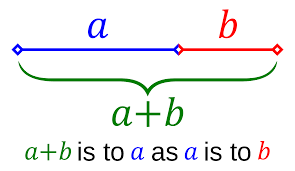 I love number lines, but I’ve had a heck of a time seeing the golden ratio on a number line. Over and over I have read description of a line divided to show the golden ratio, and, although I understand what it’s saying, the words never make the image snap into focus. What I want is an aha! moment, an image I can conjure up effortlessly and know what I am seeing. Finally opened my favorite graphic program. Started making circles. Took a few minutes but, oh, yeah, AHA!. Maybe I am the only person that this makes sense to but that’s okay. At least it makes sense to me. This is a two-step visual. It doesn’t prove anything. It’s just a way for me to visualize what’s going on. 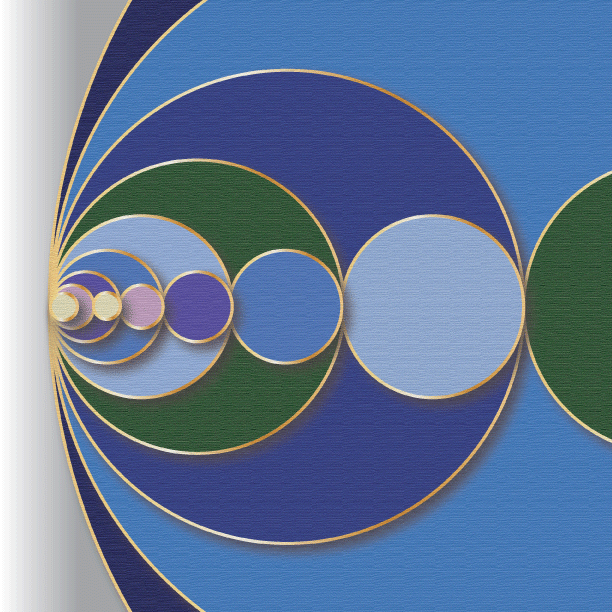 The circles above are enlarged by the same proportion over and over again. They aren’t increasing by twice their size, which would be 200%. They are increasing by 161.8%. And using this specific percentage, makes something happen that seems unlikely…. 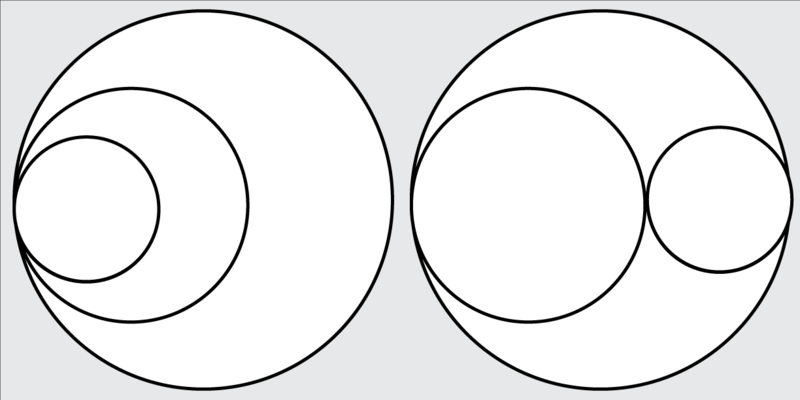 What happens is that the two smaller circles fit exactly into the next larger circle. Now this is an image I can conjure up and understand. Needs to see what other arrangements work. But, even more pressing, I need to get to sleep. So no more color tonight. Tomorrow I will be ready for page 3. I don’t do numbers well. 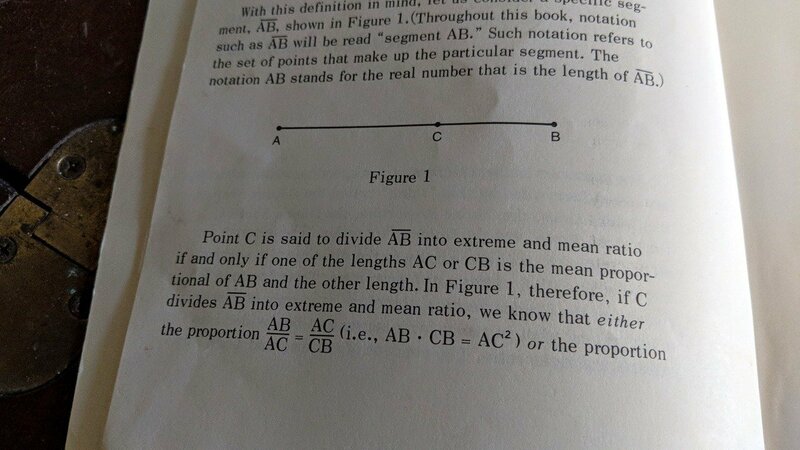 But I do love pattern recognition and other math-y stuff so…go figure! The more I learn about such things the more I’m getting the idea that pattern recognition and seeing relationships are the important things, and that numbers (which I happen to love) are like the adjectives to describe the nouns, which are patterns and relationships, IT’s just too bad that numbers seem to be be at the top of most hierarchies, when really they are handmaidens that mostly seem to veil what’s most interesting to see. After I read this I walked around with a big head all day…floating on a cloud too. Thanks so much for taking the time to make me feel so good!!! I hope you take a look at the link that John Golden, aka goldenoj, left in the comments section a couple posts down from this one. 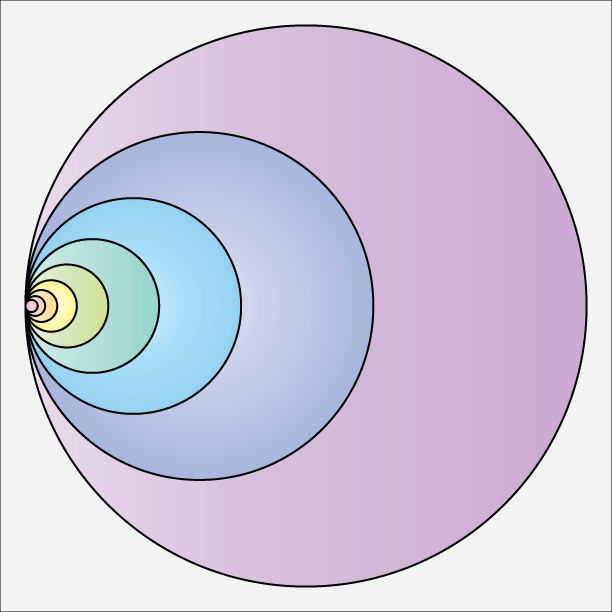 OH, heck…no need to go searching for it, here’s the link ; https://www.geogebra.org/m/kgnkqqgz I haven’t played with it yet, but John have seen some very cool images that John has done with these circles. It’s really quite lovely how there are so many ways to arrange them. 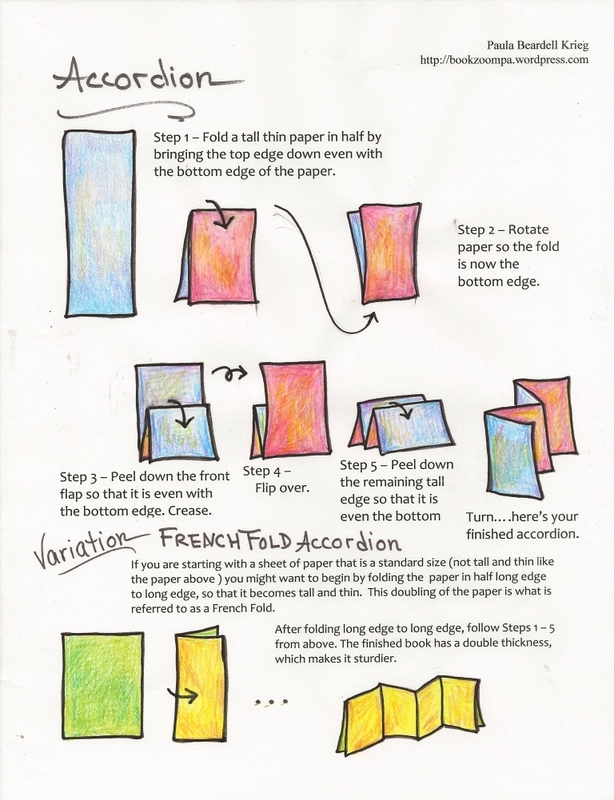 Let me know if you do a blog or something like that with you homeschooling…I’d love to see the things you do. I’m thinking seriously of starting a home-education blog/website as a source of wonderful big and small educations ‘ideas’ for parents. If I do, I’d love, love to interview you at some point for it. Your comment above about numbers being handmaidens veiling what is interesting to see – spot on for us and the way we look at maths in our family. Thanks again for all your work and sharing. I highly recommend starting a blog, if, for no other reason, to keep track of the things you do over the years. I can’t tell you how many times I have looked over my own posts to remind me of things. We think we won’t forget, but so many details can get lost. I would love love to be interviewed by you. Just let me know. Wow! 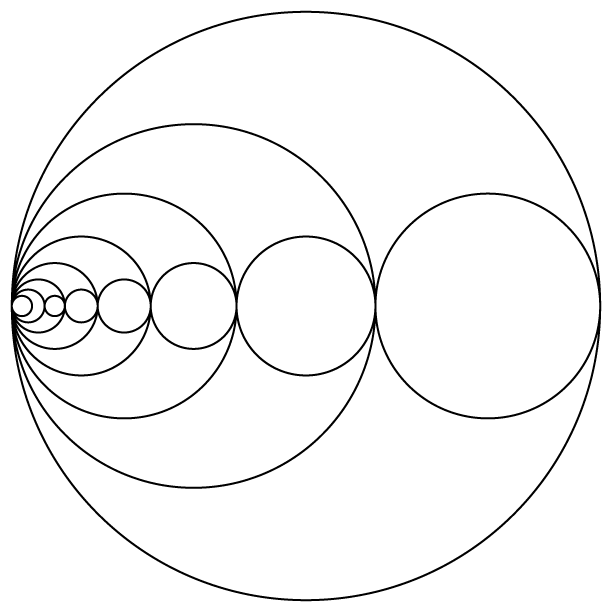 I thought I knew a little bit about the Golden Ratio, but this is totally new to me. 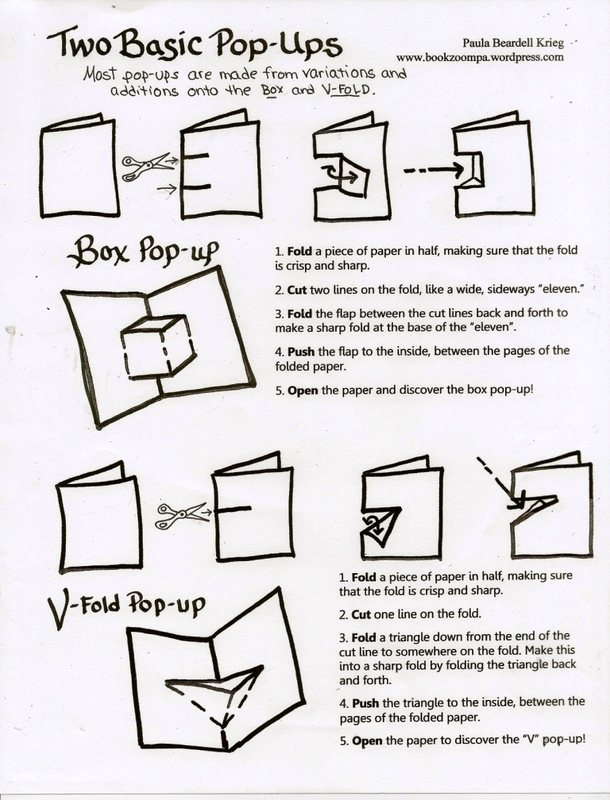 So good to know that I am not the only one who can get stuck on page 2!!! You can’t imagine how happy it makes me to think of us both trying to fully understand something before we move to page three. Mercifully book has only 144 pages though. If I ever get through them I will celebrate them look for the free KIndle sample that you recommend. …so good to hear from you. I want to keep track of these links, so am tucking them in here with you. Now I’m off to play with your construction. Loved the post since I tend to see numbers in terms of shape! I am a devotee of the Gold Mean. 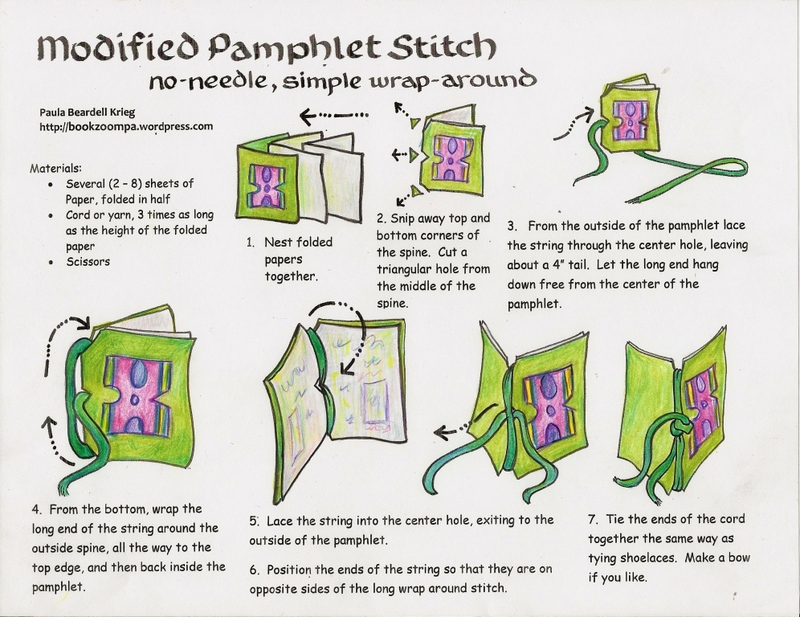 I love that you are using to help with scaling books as I am also a book artist. 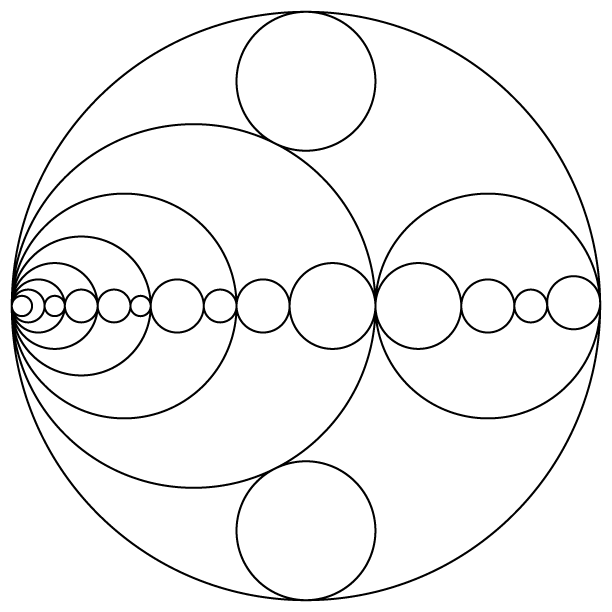 The circles are beautiful and I love how you derived the Golden Mean in a language that you understand.